Winter’s come and gone, and the warmer weather has us all walking with an extra spring in our step. 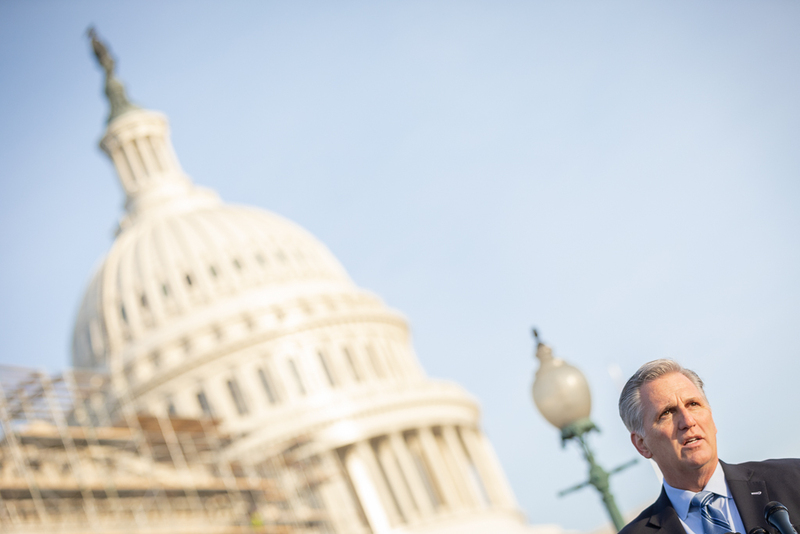 Here’s the latest on what’s happening in and around the nation’s Capitol. 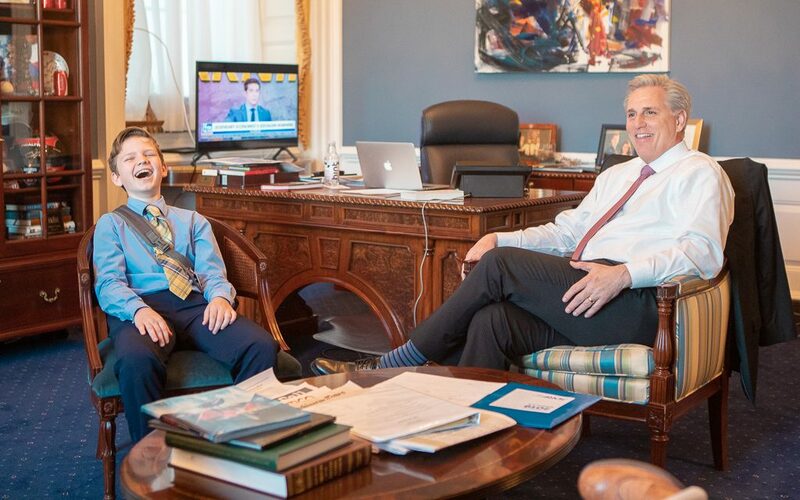 For more behind-the-scenes photos, be sure to follow the stories from @RepKevinMcCarthy on Instagram. 1. All Smiles | Kevin shares a joke with his friend, Elijah Lidgett, whose work to raise awareness and find a cure for juvenile diabetes never ceases to inspire. 2. 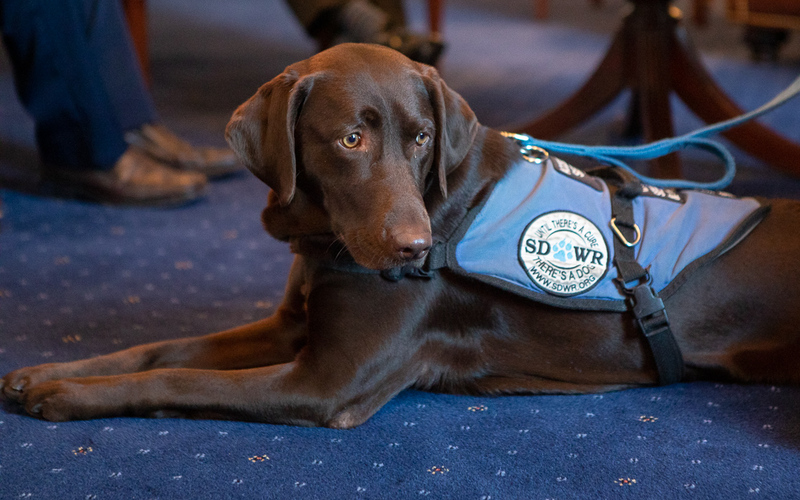 Not All Heroes Wear Capes | This is Gigi, a visiting service dog who helps her owner when he needs it most—a reminder that heroes come in all shapes and sizes. 3. 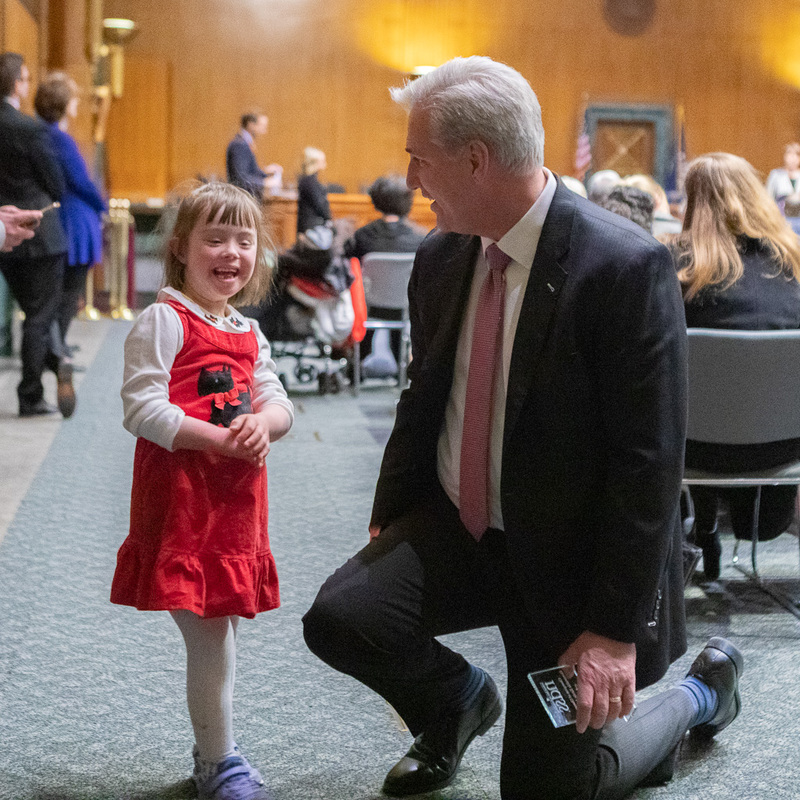 A New Friend | Kevin makes a new friend on World Down Syndrome Day, a day that reminds us that there is value and potential in every human life. 4. 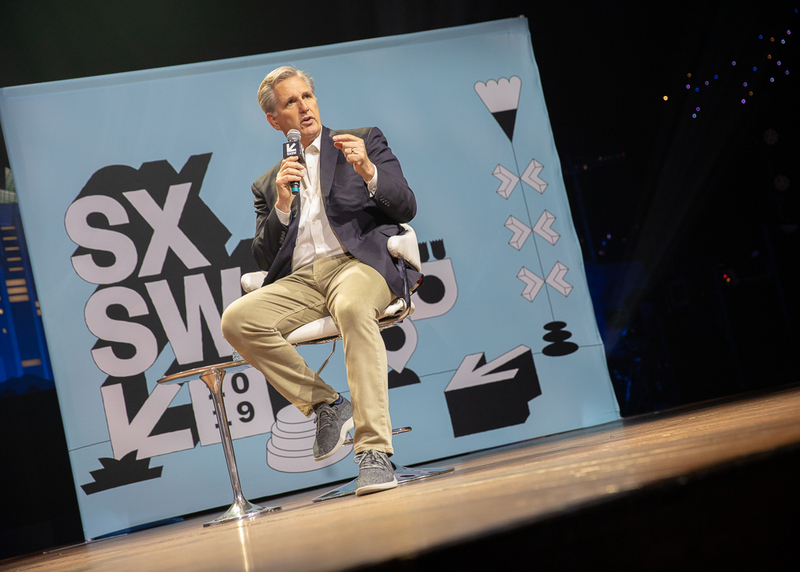 SXSW | Kevin speaks at SXSW in Austin, sharing his thoughts on the most pressing issues of our generation. 5. 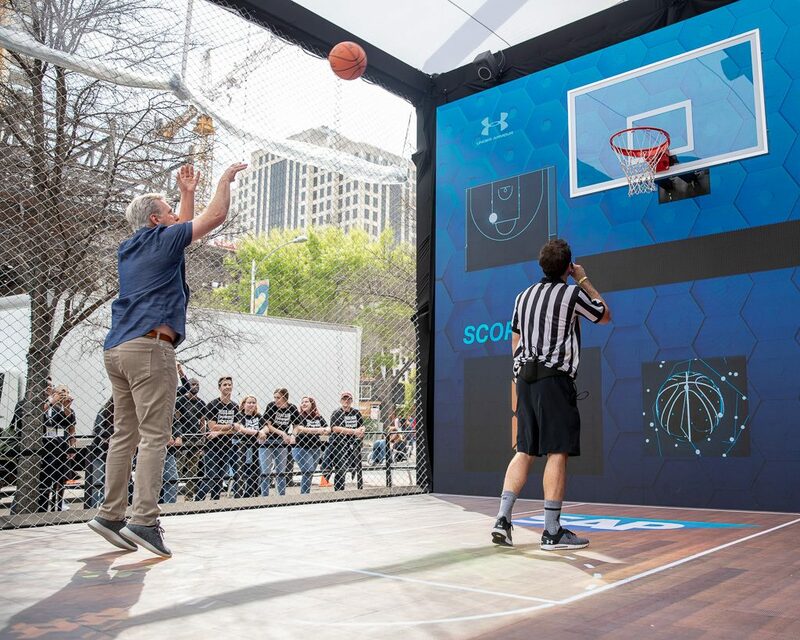 Nothing but Net | Kevin shoots some hoops between events at SXSW. 6. Enough is Enough | Kevin speaks in support of the Born-Alive Abortion Survivors Protection Act in front of the nation’s Capitol. 7. 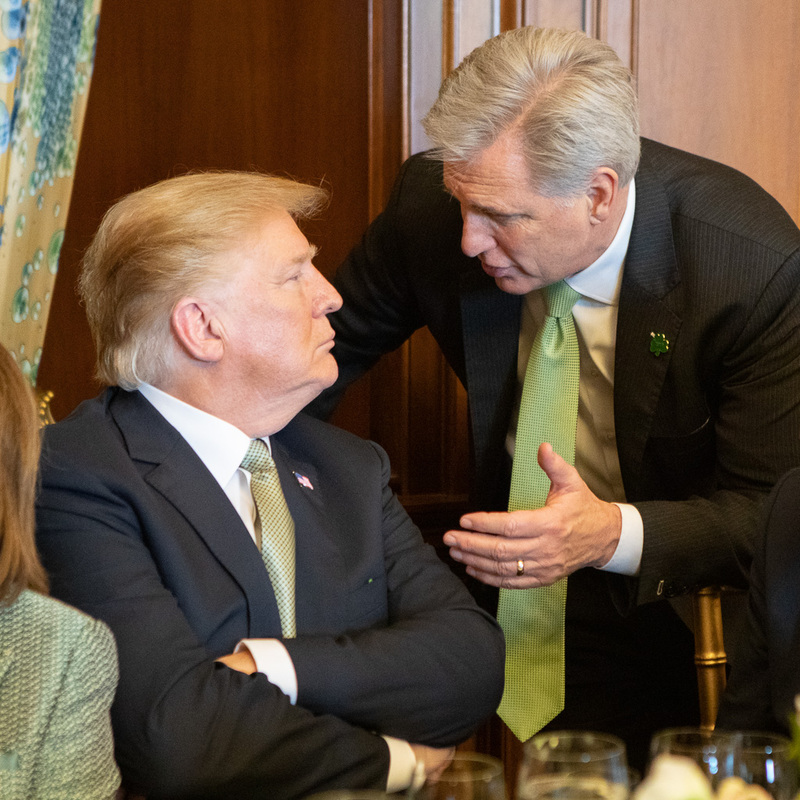 Luck of the Irish | Green ties all around as Kevin and President Trump celebrate St. Patricks Day at the Friends of Ireland Lunch in the Capitol. 8. 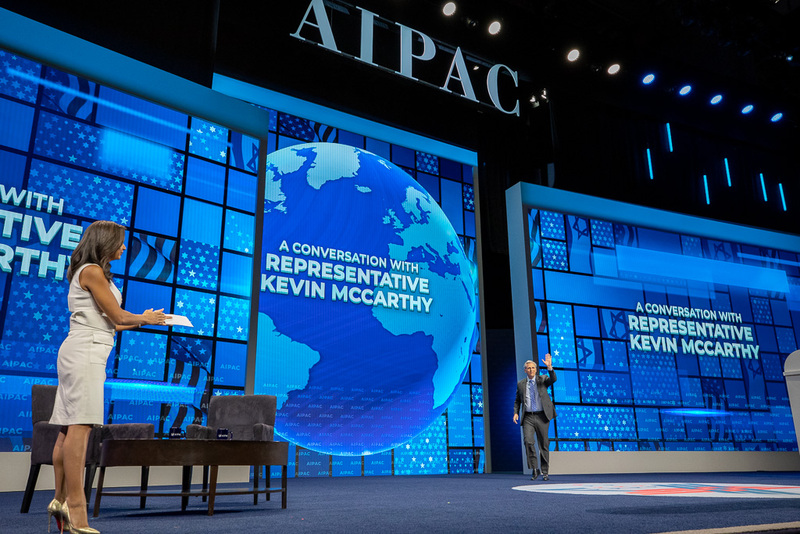 Our Greatest Ally | At this year’s AIPAC Policy Conference, Kevin reaffirms to the world that the United States will always stand with Israel. 9. 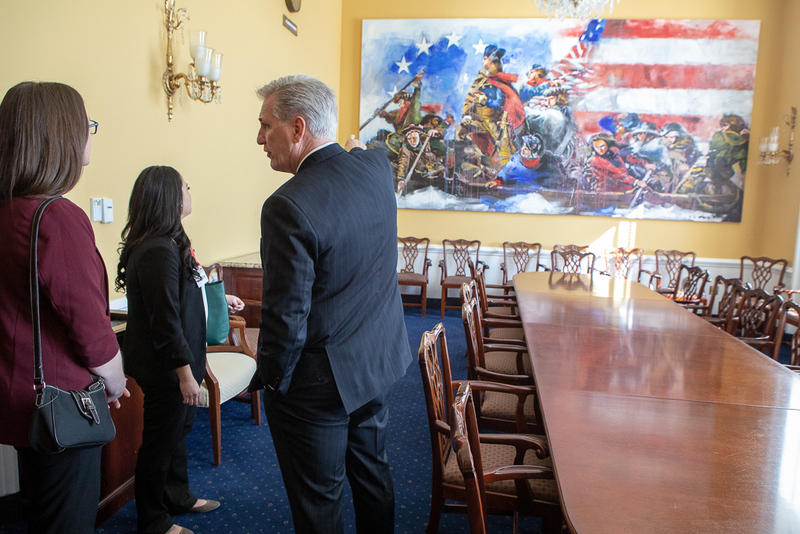 Office Tour Guide | Kevin teaches the history of Washington Crossing the Delaware to some guests in his office conference room. 10. 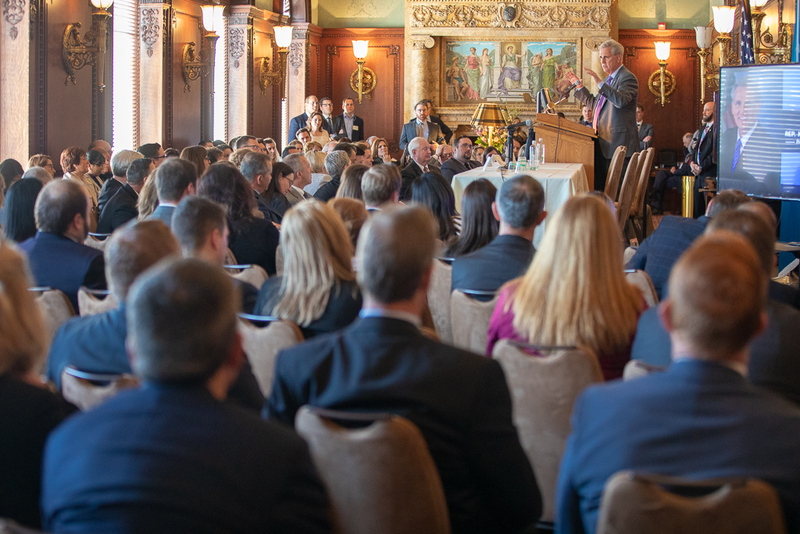 Blast From the Past | Kevin shares his wisdom as a former Congressional District Director to District Directors from around the country at the Library of Congress.